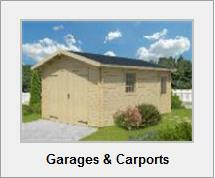 Woodpecker Log Cabins offer some of the best log cabins for sale in Ireland and Northern Ireland. Our log cabins are manufactured from high quality Nordic Spruce, harvested from responsibly managed, sustainable, FSC-certified Eastern-European forests. We use double tongue and groove logs in the walls of most of the cabins as it offers superior finish, construction stability and ease of assembly. 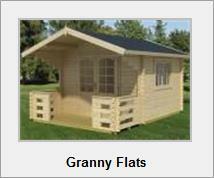 The log cabins are precision engineered according to strict ISO 9001 quality standards and backed by a 5-year written guarantee. They come in a wide choice of wall thicknesses, from 16 mm to 70 mm depending on the size and use. You can even have double walls with full insulation, giving a building that would need very little heating even in winter. 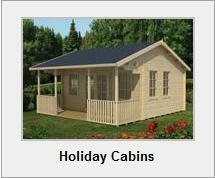 We have a wide range of log cabins for sale, guaranteed to suit your specific needs. We can deliver anywhere in Ireland and Northern Ireland. With over 50 standard sizes and designs and over 300 size/design variations, we can match almost any requirement. We constantly add to our range, so some of the designs may not yet be online. If you have a specific requirement and you cannot find what you are looking for, please call us! 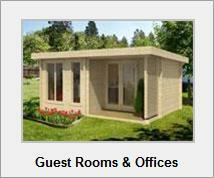 Woodpecker Log Cabins can be delivered in kit form (for DIY enthusiasts) or we can fully assemble them for you. This includes levelling the ground, building a suitable concrete base, putting in optional plumbing and electrics, assembling the cabin, insulating it, adding the roof felt and painting it with wood preservative and finishing it to your specifications. Need extra space, but don’t want to build an extension? 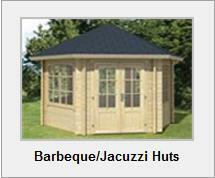 Log cabins provide a great alternative to traditional building. 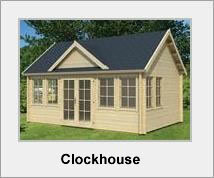 The log cabins can be erected in a couple of days (as opposed to weeks or months that an extension can take). 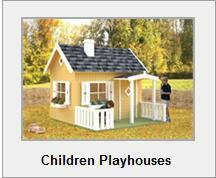 Pre-assembled and precision-cut parts mean less labour and much lower construction cost. 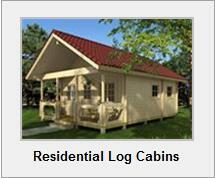 A log cabin can be built at a fraction of the price of a conventional building. 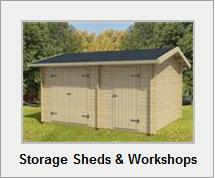 There is no mess, no mortgage problems… and for smaller log cabins no planning permission is required. 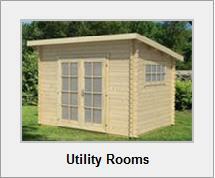 Log cabins are low maintenance – pressure treated timber is guaranteed to last. 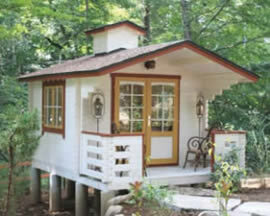 The expected life span of a log cabin when looked after and treated, is well over a hundred years. Log cabins are energy efficient – up to 70% more efficient than conventional block or brick buildings, so you can save money on your heating bills. They are also environmentally friendly and much healthier than concrete blocks (anti-allergenic). And most important, log cabins are naturally beautiful. They can be painted over or just stained and varnished… or we can add some special cladding to match the look and feel of your existing house. 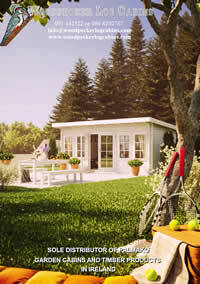 So get an extra space for your in-laws or your guests, create a spacious garden office, build a summer house, therapy room, a workshop, a garage,…or a place for your teenagers to hang out. Have a look at our brochure and give us a call. 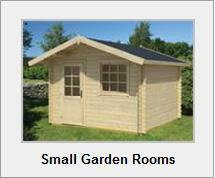 We will find you a log cabin or a garden shed that matches your needs …and your budget. 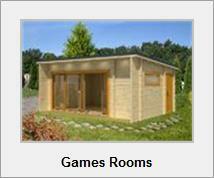 We have over 300 design /size combinations of log cabins for sale!